Get your message noticed and make a great impression with these sharp, professional Localvantia window envelopes. Ideal for using while following up with local merchants, these #10 window envelopes are printed on crisp, white stock and feature a full-color design. TIP: Make an even greater impression by combining Localvantia window envelopes with matching Localvantia letterhead. Each unit ordered includes 50 envelopes. Get your message noticed and make a great impression with these sharp, professional Localvantia window envelopes. Ideal for using while following up with local merchants, these #10 window envelopes are printed on crisp, white stock and feature a full-color design. 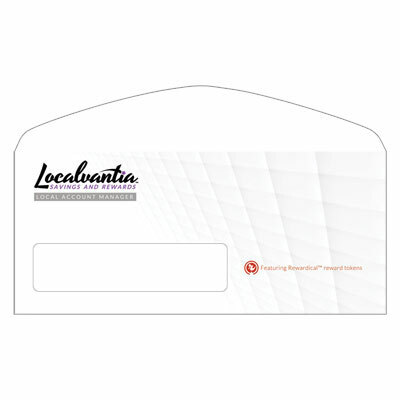 TIP: Make an even greater impression by combining Localvantia window envelopes with matching Localvantia letterhead. Each unit ordered includes 50 envelopes.